An online streaming service will debut the world’s first live, drone powered virtual reality and “immersive” newscast. 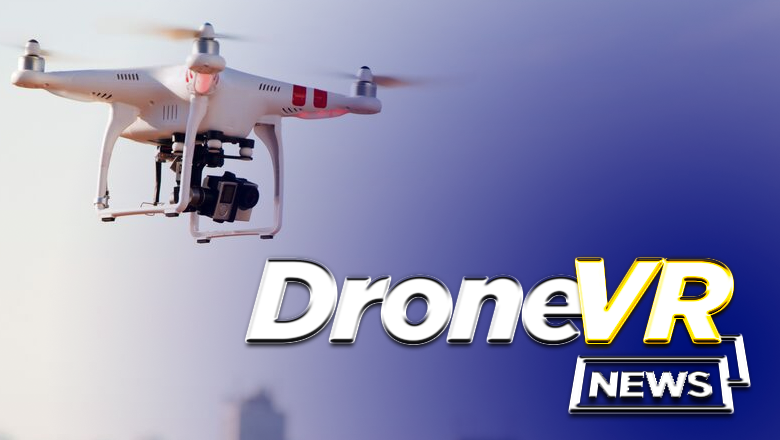 DroneVRNews will debut April 1, 2017 and will shoot all of its packages and other field video using drones equipped with special camera arrays that can capture the entire 360 degree field of vision of the news story. “Using these drones will allow our viewers to step inside the scene of the news,” said DroneVRNews executive producer Pete Walters. DroneVRNews will build a central headquarters outside of New York City but also have its version of bureaus — “News Hangers” — in most major markets. Most often these will be retrofitted self storage units equipped with an automatic door that can open to allow the drone to leave or return. The drones will be remotely controlled from the network’s New York headquarters and use bonded cellular technology to transmit video. This new model also omits the use of field reporters, instead relying on either taped or live voiceovers from the network’s main studios, though DroneVR News does plan to partner with local media organizations for more traditional reporter-lead packages captured via the drones. The network will also build a large wraparound studio set in a converted warehouse in outside of New York City. “We picked this building so we could take advantage of wide, sweeping views of the set that we can achieve using our specially designed, camera equipped drones,” said Walters. The 360-degree views will also allow viewers to not just see the on-camera anchors, but also a glimpse behind the scenes of the studio crew. “We wanted to give viewers a look inside what goes on to creating TV news, even if that means them seeing Joe the floor manager looking bored,” said Walters. The network will be viewable via apps for Android and Apple Devices equipped with so-called “cardboard” viewers as well as popular standalone virtual reality headsets. Commercials will also be aired in full virtual reality and most will be shot using drones as well, giving advertisers unique new ways to reach and engage audiences.